Are you looking for mobile assistance for emergency locksmith services? There are common problems like you need to pick up your presentation file from your office, but you forgot your key at home, or you took out your rubbish while your baby is sleeping in the house, the wind blow closed your door. Such crises may lead to trauma and need the assistance of emergency locksmith’s services. Whether you need a Locksmiths Hurstville or locksmiths in Mortdale or locksmiths in Bankstown, you name the location, and we are present there because we are a mobile unlock and locksmith service which comes right to where you are and offer great prices and the fastest response time to offer solutions right away. Gold Class locksmiths’ office is located at 1/29 Pitt St, Mortdale; you can come in anytime if you need a hand with your lock or needed to get a key cut that 100% sure to work the first time. When you face problems like new lock installed and yet, it’s not working smoothly; it needs an expert’s assistance. It might be possible that the lock doesn’t line up with the door or might have been installed incorrectly or any other reason. How can you find a locksmith to fix the problem in your area and that too when you have got all decked up for a party at night? Gold Class locksmiths Hurstville is the name for every kind of unlocking and security solutions at any point of time and place. Not only Hurstville, but our mobile emergency locksmiths services have also made us stand out in and as locksmith Revesby, locksmith Riverwood, and whichever region you look for lock related problems and security issues. We can just roll out to you and adjust your lock to ensure it is working and locking properly. Our services are friendly, quick and affordable. The comfort of our customers is the prime concern and our mobile locksmith services in every location are proof that we do keep up to the promise and deliver great solutions. Why Chose Gold Class Locksmiths? We, at Gold Class locksmith Hurstville, ensure that all our technicians reach at your mentioned venue on time without any glitches and carry every tool that your situation may demand at home or office to assist you with the best service you require quickly and on the spot. For instance, if you call us for help in the early morning after your happy hours at the pub, we will send the technician nearest to your location with the right tools to unlock your door properly and quickly. Our technicians are always out on the road and standby to help people in need. Similarly, if you find yourself locked out of your office or can’t find the key to your office cabinet, we are just one call, away, and our technicians reach right at the location in minutes. Our state-of-the-art equipment and experienced technicians open the door or your cabinet in your office in seconds, and we can even make a spare key if needed. 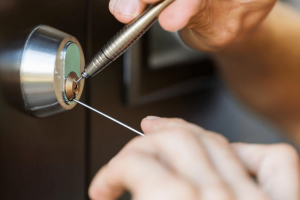 Gold Class locksmiths Hurstville, emergency locksmiths services have worked on a wide range of commercial as well as residential projects and have more than a decade of experience to take care of all kinds of projects and emergencies.